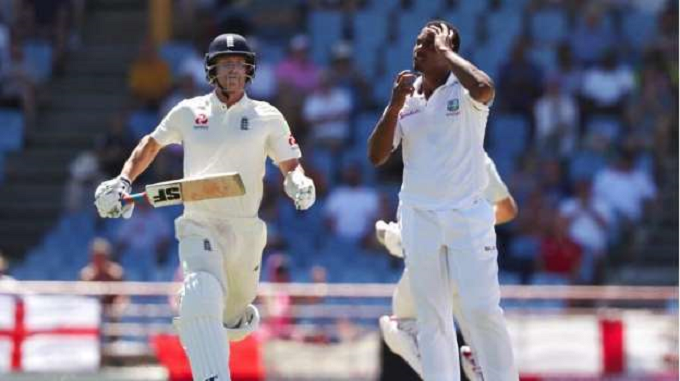 During the on-going Day 3 third Test Cricket Match between England and West Indies at Gros Islet, West Indies fast bowler warned by the umpires over the use of abusive language. During the afternoon session of the play on Monday, Shannon Gabriel was spotted having heated chat with England captain Joe Root and his batting partner Joe Denly. In the viral video of the match, you can hear which recorded on the stump mic calling out the West Indies pacer for the use of abusive language. "There is nothing wrong with being gay," Root can be heard telling Gabriel after the pacer has had a go at the two England batsmen. Root’s voice is very much clear in the video, but it is unclear what Gabriel had told the two batsmen. In the post-match press conference, Gabriel revealed that he had said something on which the pacer would regret. However, Root hasn’t reported about the incident to the officials and suggested that this should stay on the field. He added in his comment: "It's Test cricket and he [Gabriel] is an emotional guy trying to do everything he can to win a Test match. He is a good guy who plays hard cricket and is proud to be in the position he is. The battle was a good contest, he has had a wonderful series and he should be proud." Even the officials have reportedly said that they didn’t hear anything which could get Gabriel into the trouble with regards to ICC’s Code of Conduct. "Nothing has been reported to me. If a comment was made, we will review it. And if it was untoward, we will be addressing it," Pybus said, as quoted by The Guardian.